The Neighborhood Conservation District Advisory Committee — which oversees demolition requests in a swath of Uptown from Hollygrove to Central City, essentially all of Uptown not governed by historic districts — has been reauthorized for another year. In 2016, the City Council chose to move many of the Uptown neighborhoods along the river and most of Carrollton into oversight of the Historic District Landmarks Commission, which has its own staff and sometimes closer scrutiny of demolition requests. A large section of Uptown — which includes Central City, Broadmoor, Gert Town and Hollygrove — remained under the purview of the Neighborhood Conservation District Advisory Committee, which makes recommendations on demolition requests that must be given a second review and final decision by the City Council. 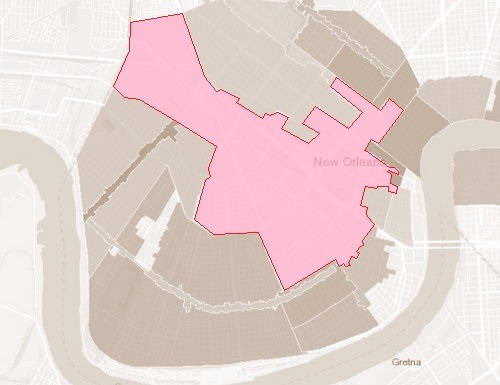 The NCDAC also oversees demolitions in downtown neighborhoods, such as the Lower Ninth Ward and Holy Cross. On Thursday, the City Council voted to reauthorize the Neighborhood Conservation District Advisory Committee for an additional year, from July 1, 2018 to June 30, 2019.